San Diego is called America’s Finest City for a reason. 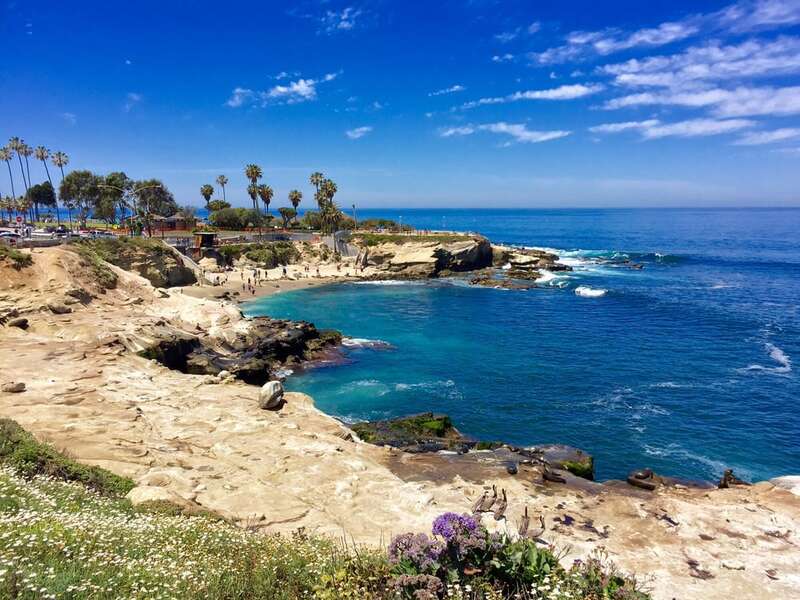 Along with surfing, tacos, and laid-back residents, San Diego is known for its abundance of sunshine and near-perfect weather. And while there are countless ways to spend time outside, sometimes you just need a good old-fashioned walk. 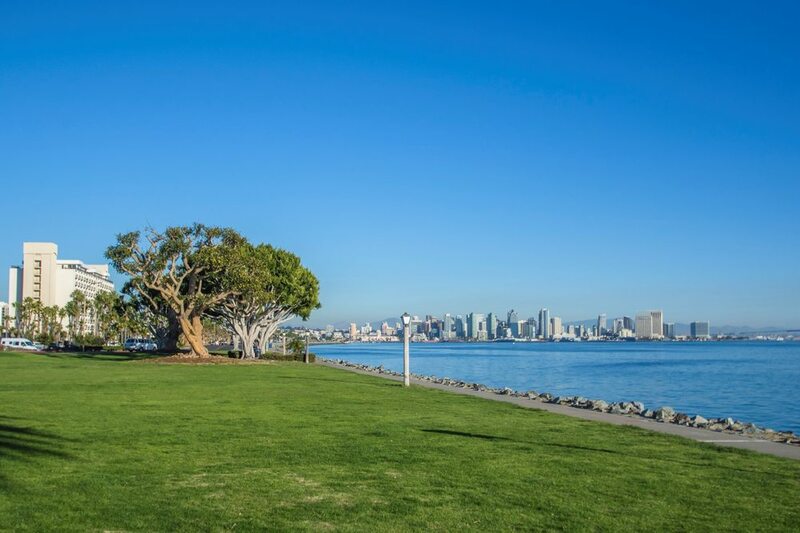 Whether it’s taking a stroll with your dog, exploring downtown, or being near the water, here are some of the best walks in San Diego that anyone can enjoy. Looking for a different kind of waterfront view? 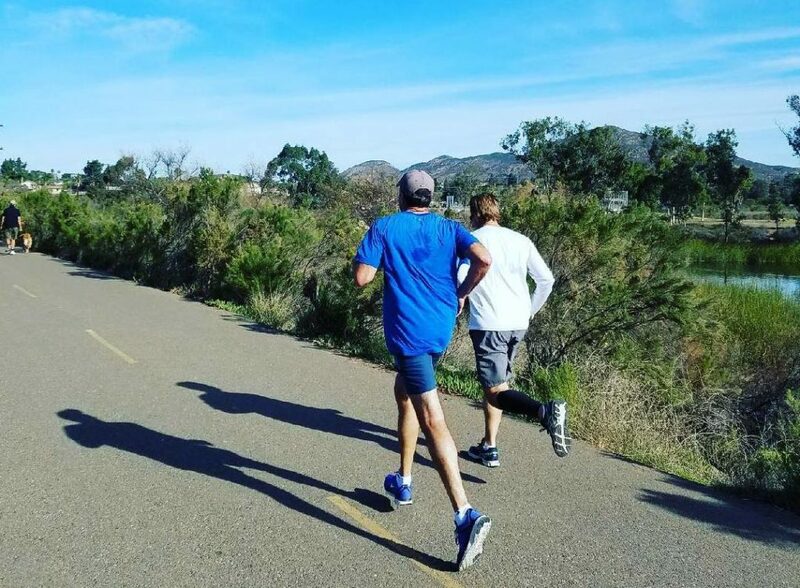 Look no further than Lake Murray in Mission Trails Park. There’s a paved road for walking or jogging that totals 6.4 miles round trip (you’ll have to turn around at the water treatment plant). In a bit of a secluded area, a walk along Lake Murray will instantly make you feel like you have taken a day-trip out of beachy San Diego. Sometimes you want a nature walk, but sometimes we know you need a downtown urban stroll. 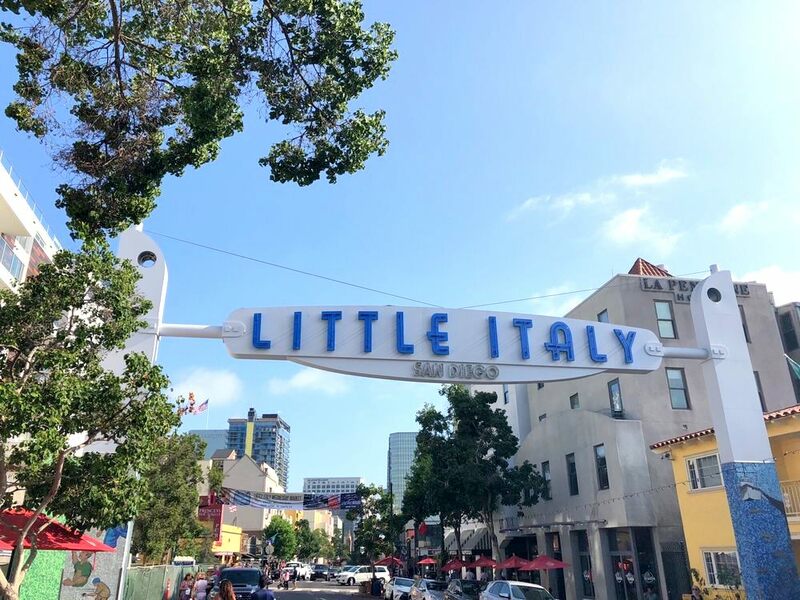 For the latter, Little Italy is a super-fun place to walk in San Diego, especially if you’re hungry. Go on a Saturday morning and explore blocks of the Little Italy Farmers’ Market (where you can gorge yourself on an absurd amount of free samples) or have one of the best dinners in all of Southern California at any number of the restaurants. Seriously — you cannot go wrong with any of them! Take a second walk after dinner and find another spot for dessert. A perfect place to take visiting friends and family, Balboa park one of the most manicured and landscaped places to walk in San Diego. From the rose garden to the Museum of Man to the cactus garden and the open-air amphitheatre, there is something for everyone at Balboa Park. 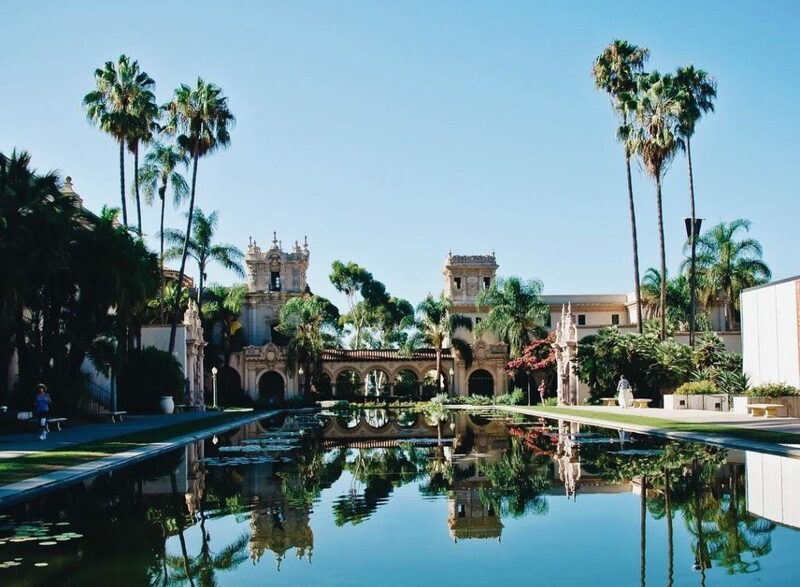 Enjoy one of the many eateries on the 1,200-acre park and make sure to take a photo of the Botanical Building and Lily Pond, one of the most Instagrammed places in all of San Diego. Pick up a coffee from Bird Rock Coffee on La Jolla Boulevard and then head towards the ocean. Some of the best houses in all of San Diego County spring up between La Jolla Boulevard and the Pacific Ocean. As the unofficial “Million Dollar Listing” walk of San Diego, if you walk along these streets on the weekends, you may be lucky enough to come across some open houses for some of the most expensive and beautiful houses that San Diego has to offer. Also included in this neighborhood: the infamous The Real World: San Diego house from 2011, located on Chelsea Street. 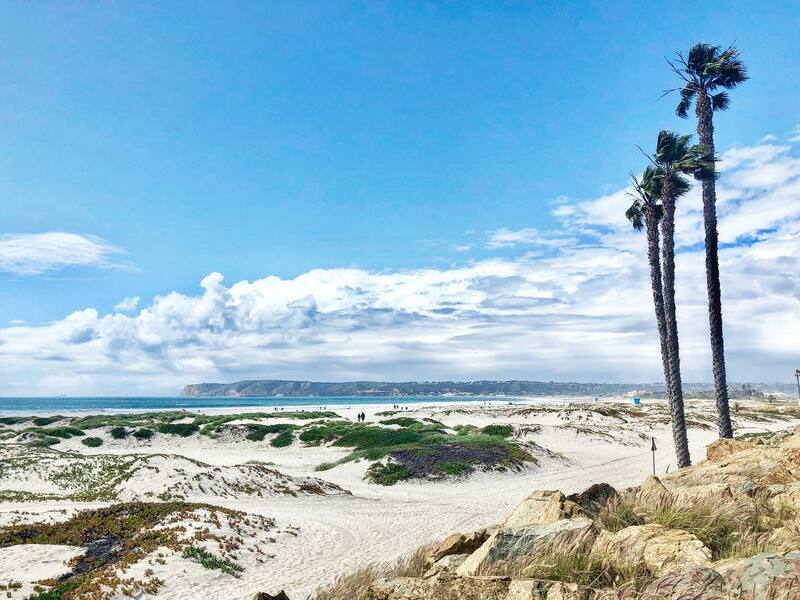 If you’re looking for some San Diego cinematic history while you walk, look no further than the path along the Coronado Beach in front of Hotel del Coronado. The hotel where Some Like It Hot was filmed in 1958, Hotel Del is a San Diego landmark and offers spectacular views of Ballast Point and the Mexican coastline in the distance. Make sure to stop and see what daily sandcastle is being sculpted on the sand behind the hotel — a truly one-of-a-kind work of art. 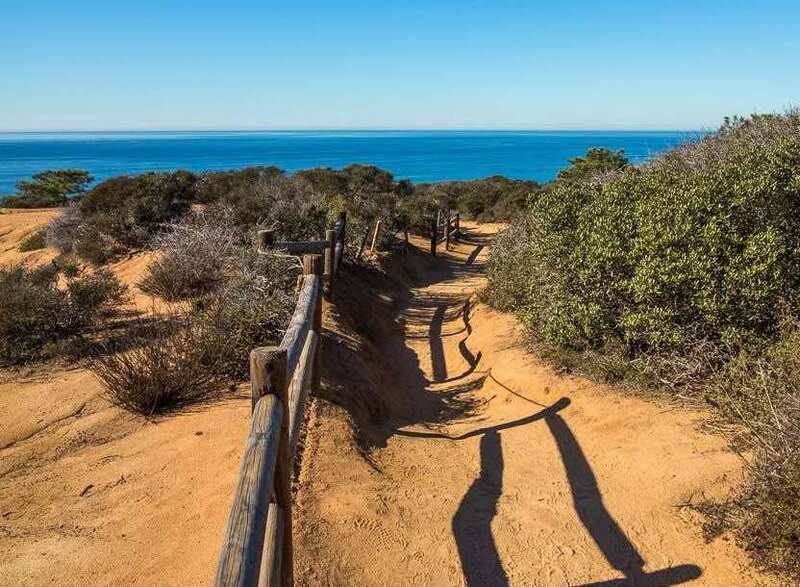 Though some may consider it a hike, walking at Torrey Pines is a San Diego staple — the Torrey Pines trails are right on the water, and depending on the path you take, parts will have you walking directly on the beach. The enormous jagged rocks along the shore are so striking you will think you’re on another planet. 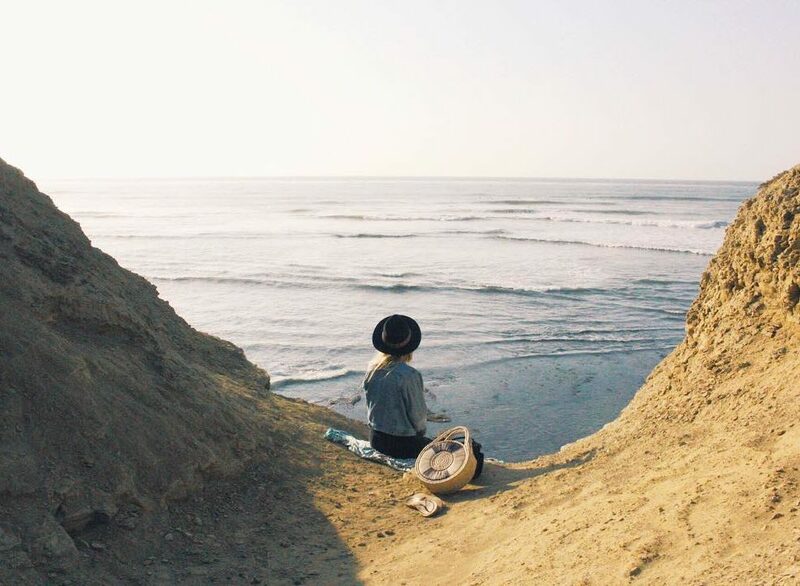 Honestly, we understand why so many San Diegans choose Torrey Pines as a place to take engagement photos. 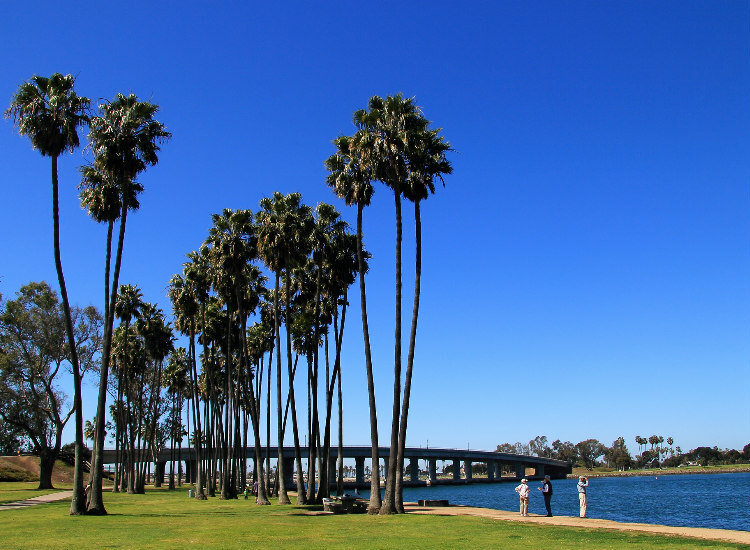 When San Diegans look at Mission Bay Park, all they see is a giant playground. From sailing to beach volleyball to jetpacking to rollerblading, you simply cannot get bored at here. The trails along the bay make for an activity-rich walk. Plus, when you get to the Mission Beach side, the PB Boardwalk is just a street away if you want to extend your walk to include an ocean view. One of the most unique things about San Diego is how perfectly it’s situated — sparkling sea on one side and grandiose mountain ranges on the other. 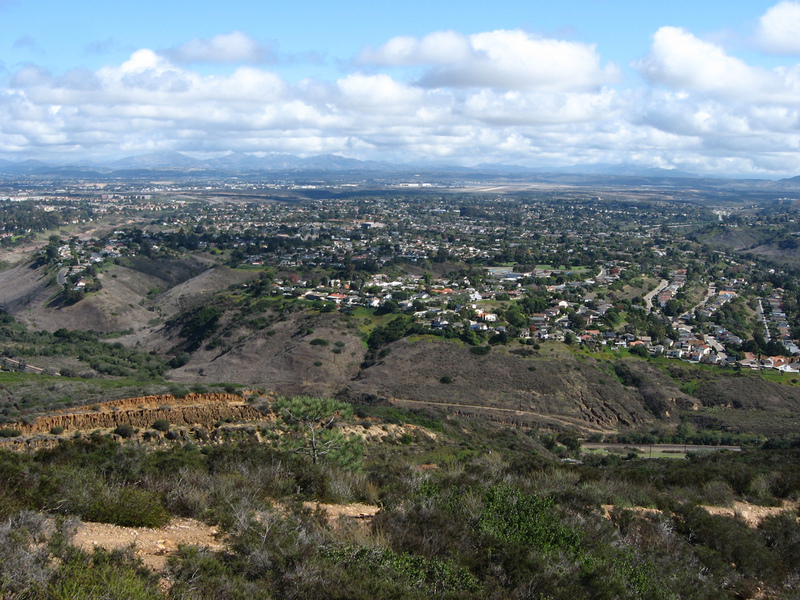 If you’re looking for a challenging walk up a gnarly hill that encompasses both of those views (plus the downtown skyline and Mission Bay), look no further than Mount Soledad. Yes, a walk up Mount Soledad is especially great during the sunrise or sunset, but it is no joke (we said gnarly for a reason). You’ll gain almost 1,000 feet of elevation over 1.5 miles by the time you reach the top. But trust us — it’s worth it! If you are a romantic or an adventure-seeker, a walk at Sunset Cliffs is for you. A great date spot, walking along Sunset Cliffs offers an unbeatable view of the sunset. Fitt Tip: walk during the October and November months to see San Diego’s most colorful sunsets. During those two months, the sky is known to turn all of the best shades of orange, yellow, pink, red, and purple. 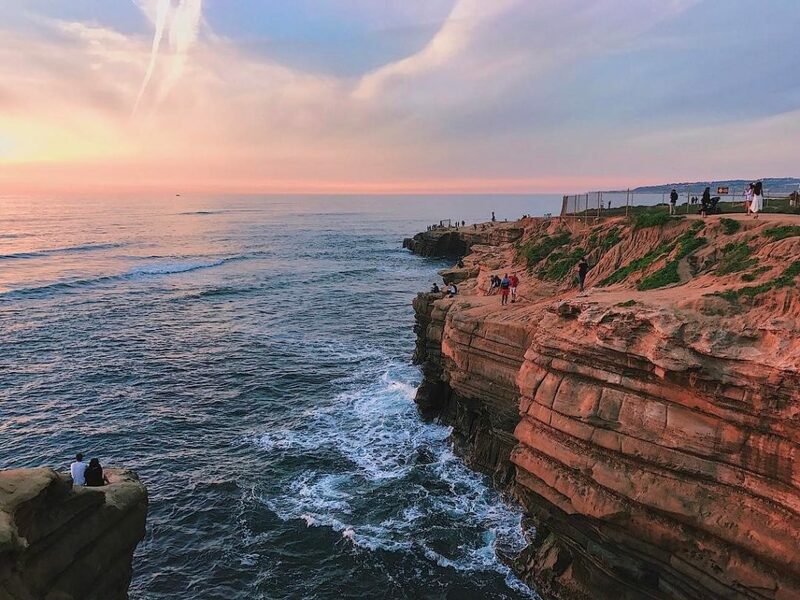 Bonus: If watching the sunset on a date doesn’t sound thrilling enough, Sunset Cliffs offers more. Go exploring and cool off in the ocean water in some of the exquisite caves beneath the cliffs. But remember: no cliff jumping! The lifeguards don’t like that. 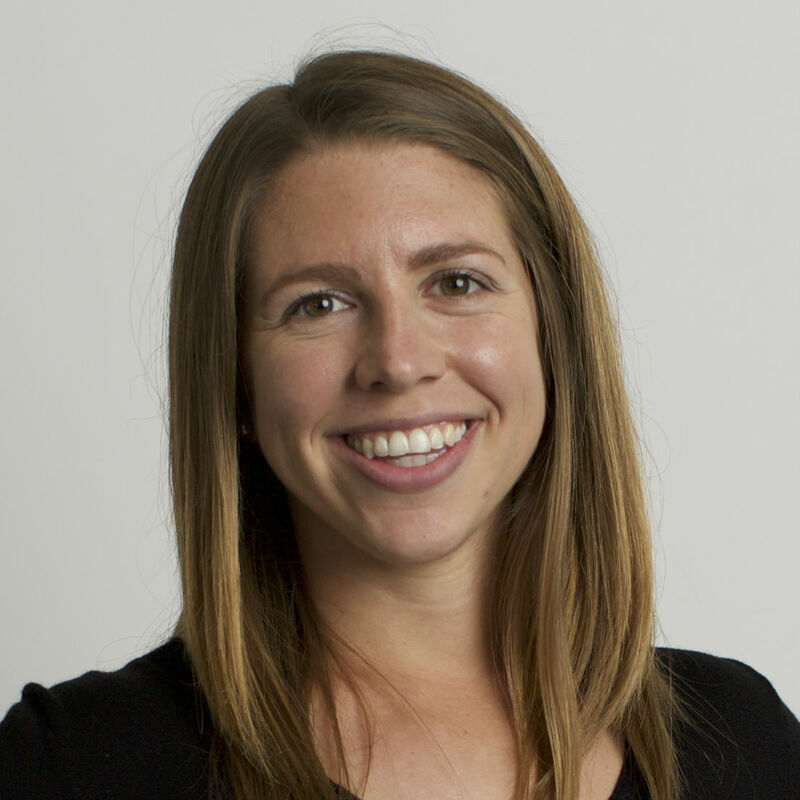 It’s a well-known fact that San Diegans are obsessed with dogs! If you’re looking for a spot to take your four-legged friend (or friends… why stop at just one?) out for a walk, La Jolla Shores is one of the best places you can walk with your dog. 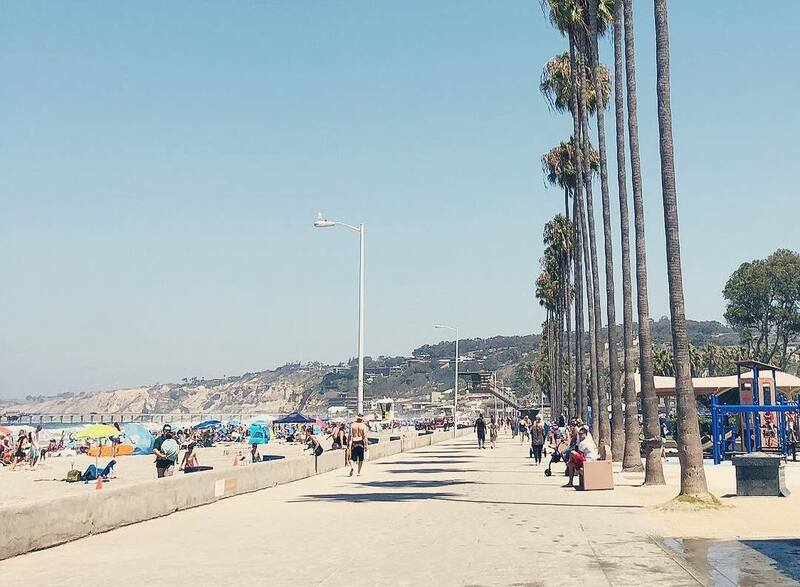 A relatively flat area, La Jolla Shores is lined with majestic palm trees and presents a relaxed and calming vibe. It’s a perfect casual weekend morning stroll that can undoubtedly start your weekend off right. For a nautical tour of San Diego, walking along the San Diego Bay waterfront is the way to go. Stop and fish along the way, or admire the stoic boats sailing in the bay. Home of the most prestigious sailing event in the world, the America’s Cup, in 1988, 1992, and 1995, there are still high-status boating events taking place nearly every weekend in San Diego Bay. If you’re lucky, you might even spot the Attessa IV, a luxury yacht that anchors in the bay off Harbor Island every couple of months. It’s easy to spot from the Harbor Island shore… just look for the super-low-key helicopter stationed on the upper aft deck.